Thank you Mr. Michalski for your diligent investigation on this. I can only imagine the many hours as well as personal funds you incurred to achieve this. Thank you for pointing out a video to which Mr. Gonser can be heard stating that “he was asked to recommend 3 to 5 attorney firms” out of the 9 that applied. That is not factual. Thank you for drawing attention to the highly inflated legal bills once again. 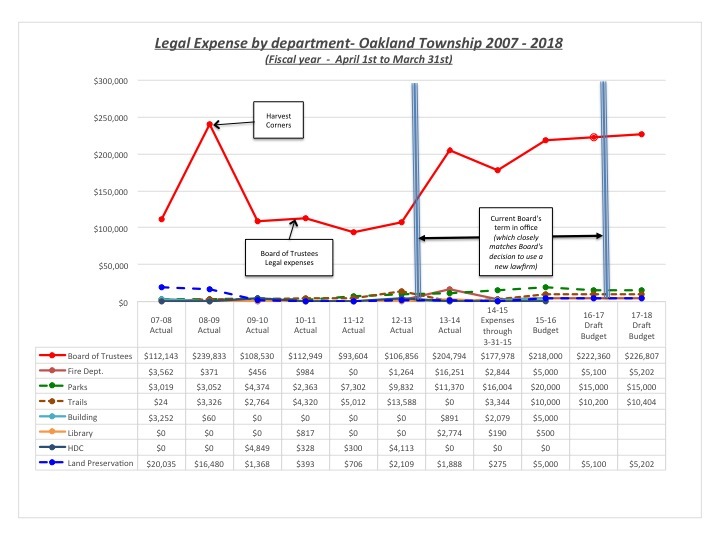 Like I said before, this issue was the last issue I brought up before I resigned and was the major contributing factor when I stated I no longer had confidence in the integrity of the board “OR the Township’s legal council”. 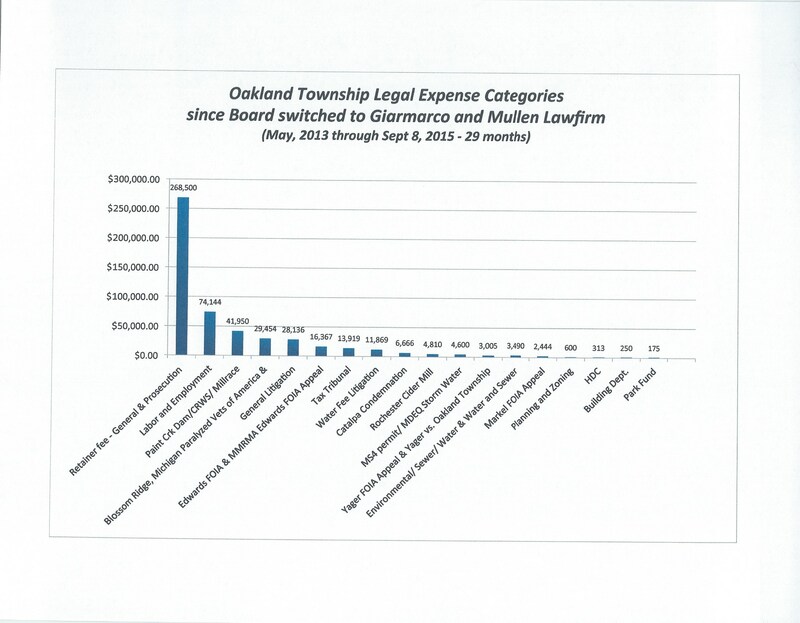 One more thing, the $42,000 for the mill race issue is just the tip of the iceberg. I am glad to hear you will be digging deeper there and I encourage you to do so. When you do submit your FOIA request, please include PEA, Wade Trim, ECT, ASTI, Charlie Dunn as well as GMH bills in relation to work done on the mill race issue/lawsuit. I believe that total figure will be in the $125,000 to $150,000 range, just by my own rough calculations. What do the taxpayers have to show for that? In my opinion and observation to date, absolutely nothing. I look forward to the board’s report on the CRWS council lawsuit and mill race issue they are intending to give to the public. Poor and rash decisions have consequences and many costs to the taxpayers. Mr. Michalski refers to open questions about whether Supervisor Gonser had legal authority to negotiate and approve a new attorney’s contract that includes a fixed retainer fee $18,000/year higher than the contract terms presented to the Board of Trustees. Negotiating contracts and purchasing the services of attorneys are duties of the professional, full-time Superintendent hired by the Board. Terry Gonser, our elected Supervisor, has no authority over contracts with attorneys beyond his single vote on the board of trustees. His signing this contract for $1,500/month more than approved by the Board has cost taxpayers $43,500 over the intervening 29 months. Gonser seems to have overstepped his authority in a way that has materially harmed the Township. 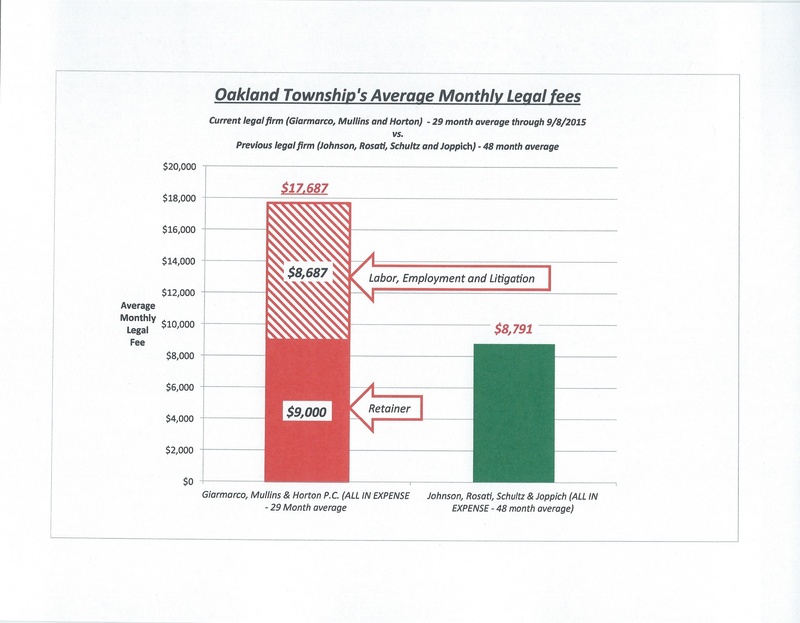 Every month the harm to the Township increases . I ask the Board to investigate this issue, first raised on October 26th 2013 by former Trustee Judy Keyes, and take appropriate action.